Flowers for a casket spray. 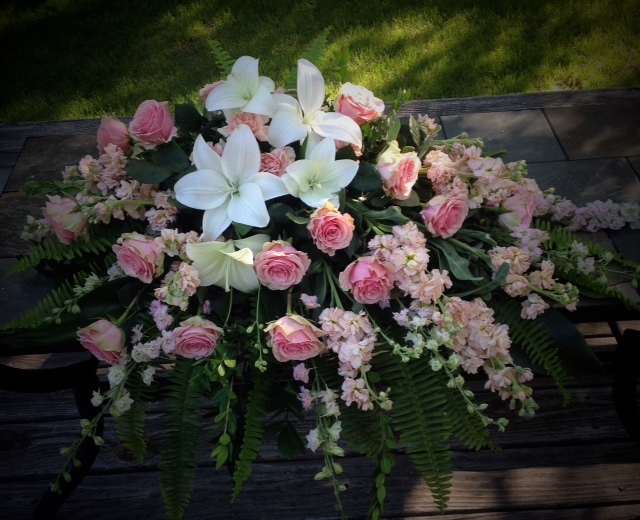 White lilies, pink roses and more. White and green casket spray. Modern casket spray. Contemporary casket spray. 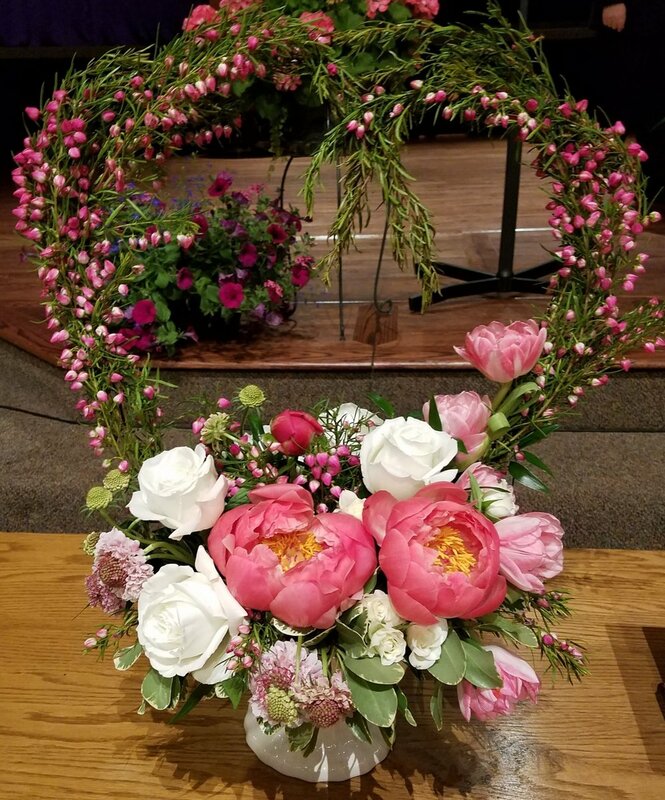 Flowers for sympathy, tribute, funerals, memorial services. 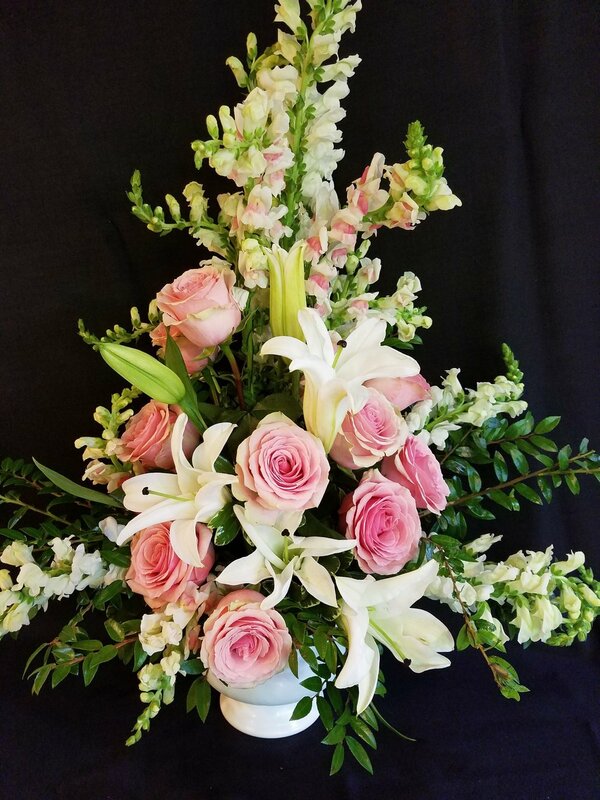 Pink roses with white lilies. Cremation urn with a garland of greens and roses, placed on a precious quilt, now an heirloom.